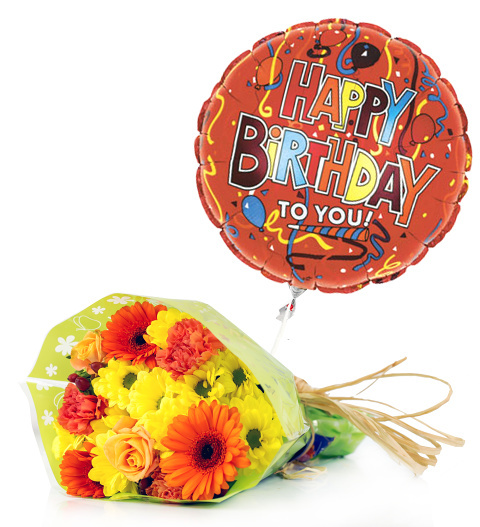 Send this flower and balloon combo to help that somebody special celebrate their birthday! Large 18 inch Helium Balloon included. We have chosen brightly coloured flowers for the bouquet to match the bold Happy Birthday helium balloon. This flower arrangement is available for UK next day delivery and includes a fine selection of Marie Clare roses, chrysanthemums, carnations, germinis and hypericum all hand tied with raffia for a perfectly stunning floral display.